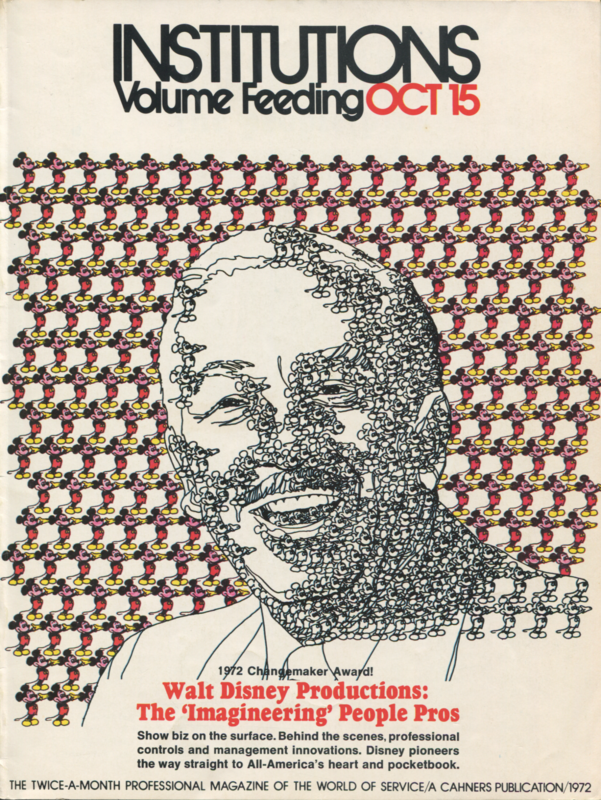 What you are looking at is the October 15, 1972 issue of "Institutions/Volume Feeding" magazine, in which the magazine announced their annual "Changemaker" award for Walt Disney Productions. It is a 20 page magazinge insert, numbered from page 65 to page 100, meaning it was likely part of a larger publication. You and this magazine are going to shortly become very familiar. I have not been able to find much information about Institutions/Volume Feeding out there, except to say that it existed and serviced the hotel and dining business sectors. 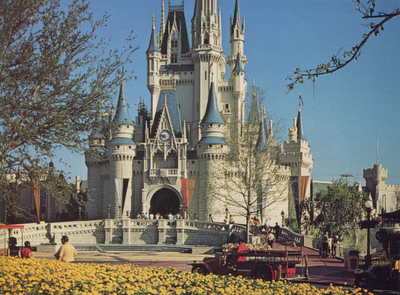 What I can say is that the insert is lavishly produced; well written, with beautiful color photographs - some behind the scenes - and fully fleshed out with interviews of the people who were actually running Disney at the time. Being an industry paper, the article focuses heavily on the food and hotel side of the new Walt Disney World operation, with very interesting details on buying, cooking, and money handling. I'm making it sound very technical, aren't I? Here's the thing: in all of my years of reading Disney related items, this is one of the most essential pieces of writing on the company I've ever read. You must read this. 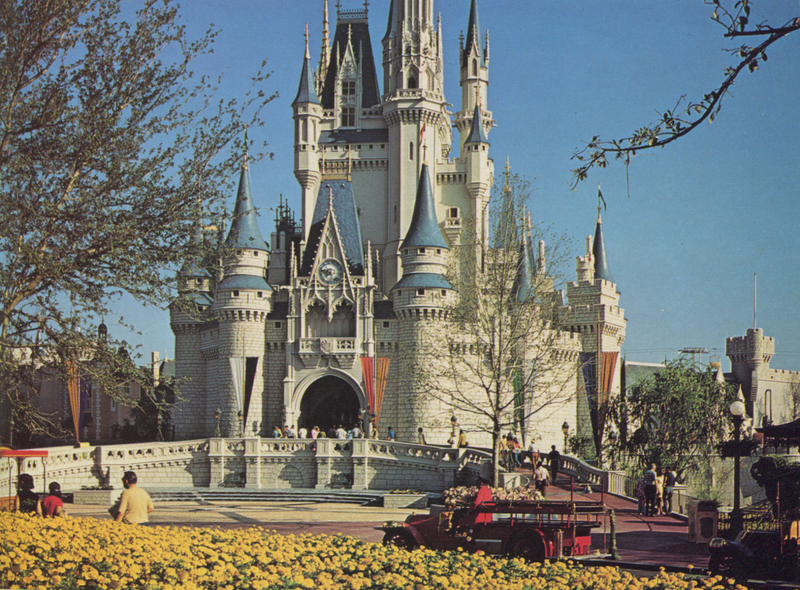 More than being about buying and selling hamburgers and dining tables, this magazine is an industry-inside look at the attitudes and philosophies which ran Walt Disney Productions during its golden era. And, given the current cultural climate surrounding the Walt Disney Company of 2012, it frankly reads like a slap in the face. 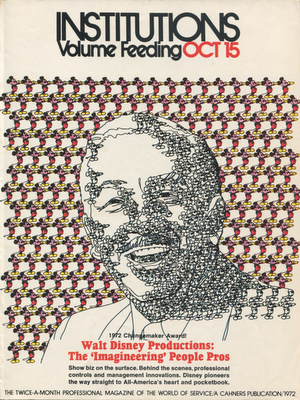 I'm not above saying that the executive committee profiled here is beyond critism or reproach - this was written in mid-1972, in the crazy, hazy days following the hugely successful debut of Walt Disney World - these men were flying high, full of optimism and ideas. The Arab Oil Embargo was still in the future, as were the shrinking expectations and horizon of Project Florida's tomorrow. These guys had issues. They thought small, ran the movie studio into the ground, failed to build enough hotels, then blew all of the company's wealth and resources in a single theme park venture. But they also produced the Polynesian Village, The Magic Kingdom, Space Mountain, Lake Buena Vista, The Empress Lilly, and all of EPCOT Center. Warts and all, this was a company that still dreamed big and did things unconventionally. This was a group of men who sat down and for the first time asked themselves that question which echoes down the musty corridors of the studio: "What would Walt have done?" These men lived in awe - and fear - of Walt Disney. In retrospect, it's remarkable that the 20th century actually produced such a man, and they lived with him. They were used to pleasing his high standards. And Walt was one of the toughest bosses of all time. You can still feel his prescence in their words here. So there's that. This article also shows how, until the entree of Eisner in 1984, the Walt Disney Company was very much a small, family run company. They had a single small lot in Burbank that they used as a movie set when they could and two satellites in Anaheim and Orlando. This was the company that was getting into bed with multinational corporations and international governments to build EPCOT Center. The size of the company today is something none of these men could have predicted, and the Hollywood mentality of the current company is something Eisner brought with him from Paramount. So when you read these men describing how they run the place like it's a corner grocery store, we need to realize both that this approach is impossible today, and that it wasn't very smart back then, either. The same slowpoke approach seen in these pages was what steamrolled this executive team out of existence ten years later. Disney was slow to change and it cost them dearly. So when I say it reads like an indictment, I'm not kidding, but it also needs to be seen in the context of the trouble this sort of thinking caused. What this is, finally, in an invaluable primary resource for understanding why and how Disney did the things they did in this crucial era. Those just entering Disney circles need to understand this era and the thought it entailed on Disney's part to understand the criticisms leveled at it - not unfairly, I think - today. This ought to be required reading for everyone in the company. It demonstrates, simply and eloquently, their exceedingly high standards and why they asked "What would Walt do?" and why we should still be asking it today. The issue is split into three articles, each of which will be presented as a separate post, with relevant corresponding images from the text. The first one will be posted tomorrow, with parts two and three following in weeks two and three. I hope you'll find it illuminating and, like me, a little infuriating. This was the era when saying "a dream is a wish your heart makes" about Disney wasn't marketing bulrush - these men were strange mixtures of businessmen and idealists who pulled the whole castle in the sky down with them. And now, Passport to Dreams Old & New proudly presents: Walt Disney Productions: The "Imagineering" People Pros! In the Magic Kingdom of the entire Disney corporation, emphasis is always placed on the individual-whether he be guest or employee. It is this deep-rooted philosophy - originating from Walt himself - firmly believed and carried out by management, that has been the key to success. It is the constant check for quality and the real, unabashed belief that a guest passing through a turnstile does not necessarily represent a dollar sign. To do this successfully and still maintain a profit is where Disney shines. This-all of this-is "imagineering." It's innovation. It's a fantasy land on the surface, but behind the scenes it is an efficient, profitable, benevolent operation. The people responsible are professionals-not necessarily food or hotel pros, but people pros. Those who enter the Wonderful World of Disney-whether they be guest or employee_-come out a little bit different. Happier. Jubilant, perhaps. They have an experience firmly embedded in their Memory Factory. They've been a part of the Total Show. Disney has changed them. Disney is a Changemaker. This looks to be a fascinating read; thanks very much for sharing it! I apologize for coming late to the party. I just discovered your blog, and I'm excited to explore further. Thank you for this series of posts, fascinating.